I'm a simple man. A man of principle, of purpose, of tradition. When I hear music, I dance. When I see a beautiful sunset, I take a picture, edit it too much in Instagram, then tag it #nofilter. And on one very special day every year, I put on my stretchy pants, swipe my Metrocard, and venture out to one of New York City's finer kosher counters on my yearly content pilgrimage in observance of my highest of holy days. A very happy National Hot Pastrami Sandwich Day to you and yours, dear reader. Hope you're hungry. This year, I ventured up the 6 line to Pastrami Queen, just north of 78th on Lexington. There really couldn't be a more perfect afternoon to duck into a small deli counter on the Upper East Side. The sky was gray and spitting dirty rain, some water from a puddle had gotten into my shoe, and a jackhammer was grinding away within earshot. 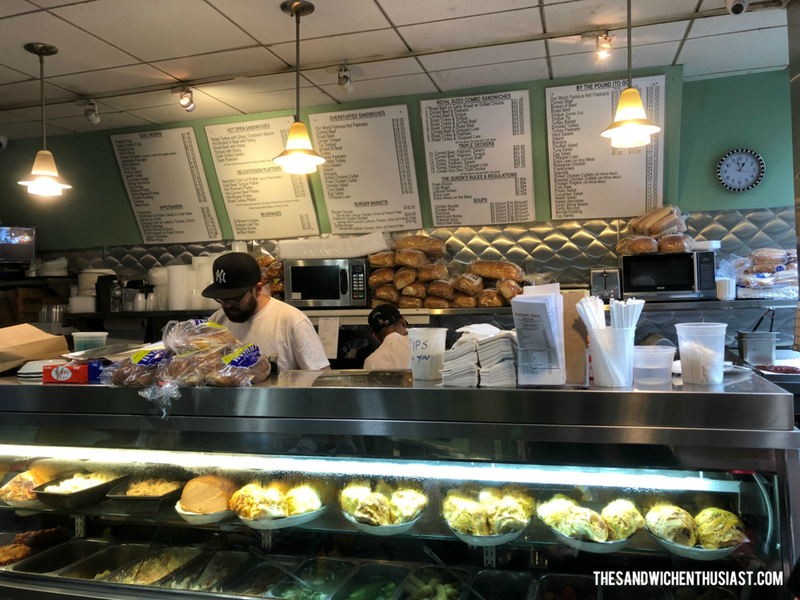 Inside I found subway tile, a television blasting local news, people complaining about the mayor, and piles of delicious, well-smoked meats prepared under the rabbinical auspices of Rabbi Yisrael Mayer Steinberg. They even had a crotchety old lady sincerely complaining about being served too much cole slaw! Throw George and Jerry at the table next to me and this could be NBC's prime time lineup circa 1996. I ordered the World Famous Hot Pastrami Sandwich (as you do on National Hot Pastrami Sandwich Day) with a side of cole slaw. My opinion on the importance of cole slaw are no secret, and Pastrami Queen didn't disappoint in that regard. The cole slaw — while a bit saucier than I personally prefer — was done with purpose and intent, instead of dashed upon the plate in a metal ramekin like so much parsley. This was solid slaw. The sandwich itself was on the thinner, drier side of pastrami, in my own experience. Katz's towering pile of thick, greasy pastrami still reigns supreme for me, but that's entirely a personal preference. If you're more apt to choose a thin cut of well-rubbed meat, Pastrami Queen has your back. If there was one bad thing for me to call out, it was the mustard. 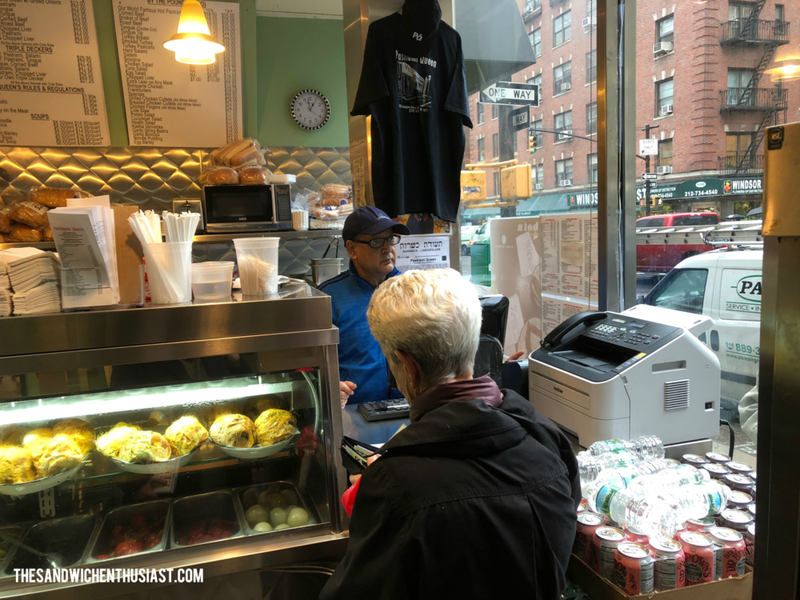 While certainly a step above the straightforward, uninspired yellow stuff that gets squirted onto many a sad hot dog across our fair city, this still wasn't the "kosher Jewish deli mustard" you'd expect from a place like this. It did the job, but it could have been better. 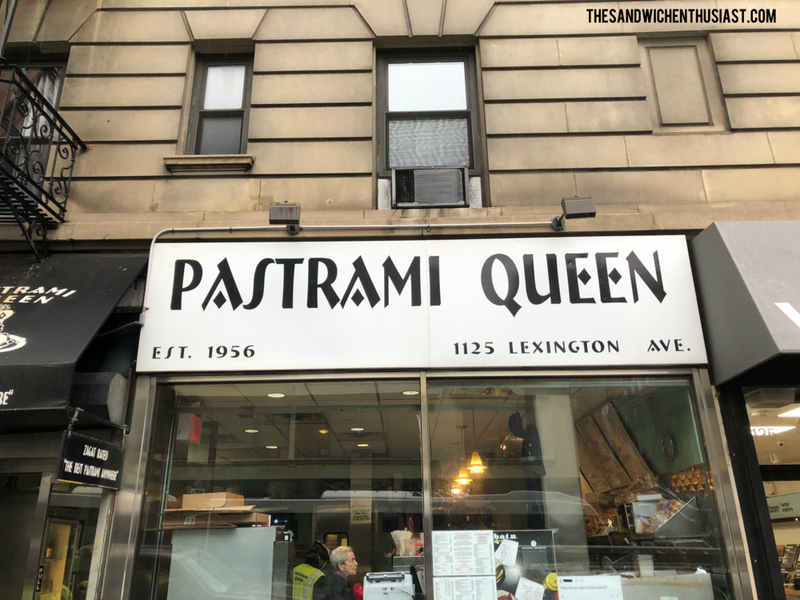 When all was said and done, Pastrami Queen served up a delicious hot pastrami sandwich in an authentic New York City kosher deli environment. While I still prefer Katz's sandwich and Second Ave Deli's interior, this was a fabulous sandwich experience that I'd recommend to anybody. Happy Hot Pastrami Sandwich Day, my happily hungry readership. Till next year.